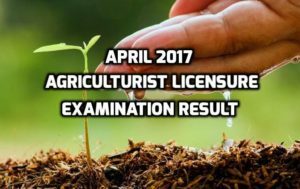 The list of passers for the April 2017 Agriculturist Licensure Examination Result is already available. The Professional Regulation Commission (PRC) announced the list and from the 2,938 examinees, only 927 passed the examination last April 25. 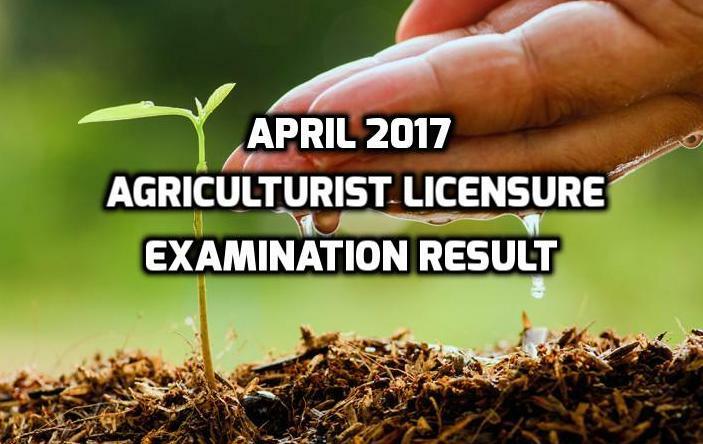 The Board of Agriculture members administered the exam headed by Dr. Fortunato A. Battad (chairman), Vicente L . Domingo, Dr. Nora B. Inciong and Inv. Gonzalo O. Catan (all members) as detailed by the PRC. The examinees took the exam in the different venues assigned by the commission, which include Manila, Baguio City, Cebu City, Cagayan de Oro City, Iloilo City, Davao City, Lucena City, Pagadian City, Legazpi City, Zamboanga City, Tacloban City and Tuguegarao. The Professional Regulation Commission (PRC) already revealed the schedules of licensure examinations for the month of April this 2017. The information they shared online include the type of exam, date, days to complete, venue and deadline of filing the application. On this, it is very important for the applicants to determine the provided information to make advance preparation and complete the necessary requirements. For the upcoming examination results, we will keep you updated. 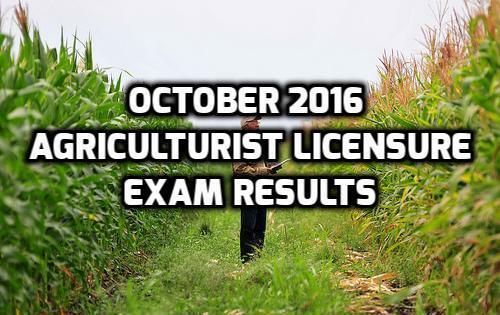 The results of the October 2016 Agriculturist Licensure Examination have released by PRC (Professional Regulation Commission). Out of the 5,795 examinees who took the exam, 1,790 have passed. 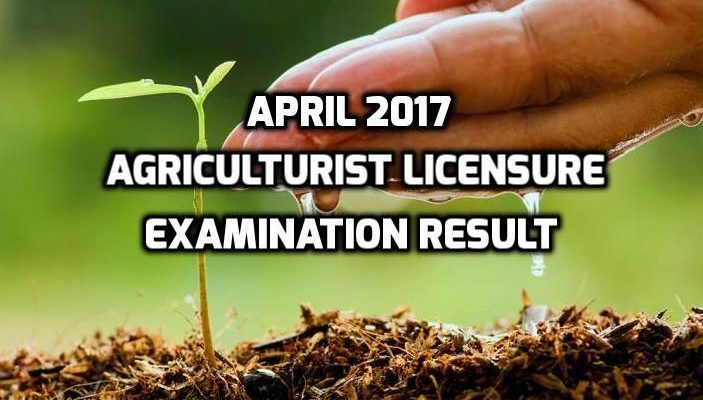 The examination was given by the Board of Agriculture in key cities of Manila, Cagayan de Oro, Cebu, Davao, Iloilo, Legazpi, Lucena, Tacloban, Pagadian and Zamboanga last October 2016. The result of the said examination was withheld in respect to one of the examinees, which pends final determination of his liabilities under the rules of the licensure examination. The result of the examination was released five days after the last day of examination. The members of the Board of Agriculture who administered the exam are Dr. Fortunato A. Battad, Chairman; Dr. Nora B. Inciong, Inv. Gonzalo O. Catan, Jr. and Mr. Vicente L. Domingo, Members.